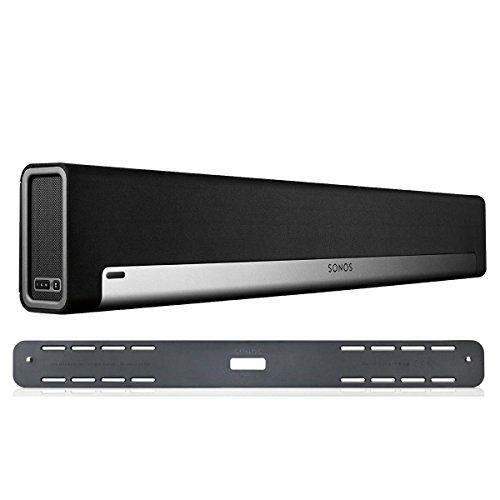 This wireless, beautifully engineered soundbar provides spectacular audio for all your movies, TV shows, sports, and games-and streams your favorite music, too. Beats standard TV speakers: PLAYBAR has nine amplified drivers-six mid-woofers and three high range tweeters-for deeper lows, clearer dialog and more immersive sound effects than you can get from your built-in TV speakers. Trueplay speaker tuning: This exclusive Sonos feature fine-tunes your Sonos Home Theater setup to make sure you hear the very best sound possible, no matter where or how you arrange your speakers. If you have any questions about this product by Sonos, contact us by completing and submitting the form below. If you are looking for a specif part number, please include it with your message.